We guarantee that you’ll get the best deal when you book directly on our website. 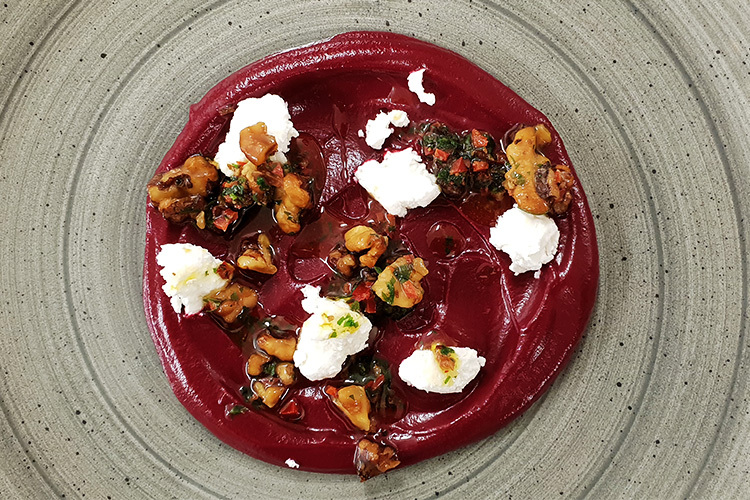 As summer gives way to autumn, so some of the dishes on our menu make way for more seasonal plates. Our menu is ever evolving, and as the year goes on regular guests and diners at the Bella Luce will notice new dishes moving onto our menu to reflect the best of our local in season produce, the wild edibles that our head chef forages for, and the sorts of flavours, colours and textures that our diners want at this time of year. 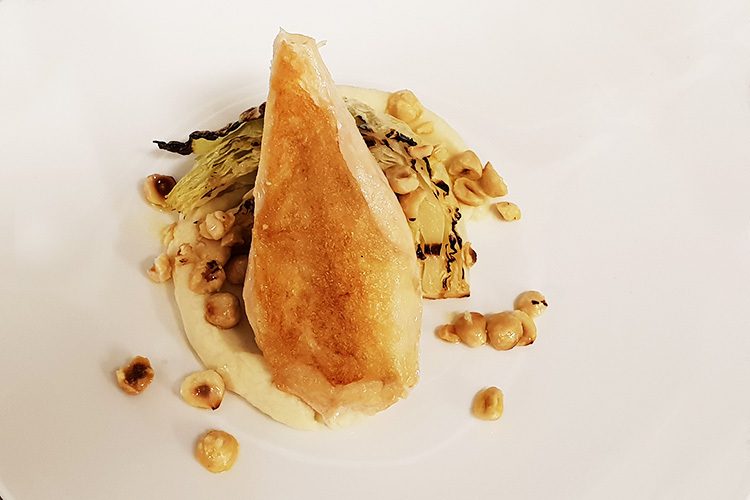 Already we have dishes that celebrate the root vegetable harvest at the end of summer and start of autumn, such as the new beetroot puree with golden Guernsey goats cheese and walnut relish and a pan fried corn fed chicken supreme with grilled savoy, celeriac puree, toasted hazelnuts and chicken jus. 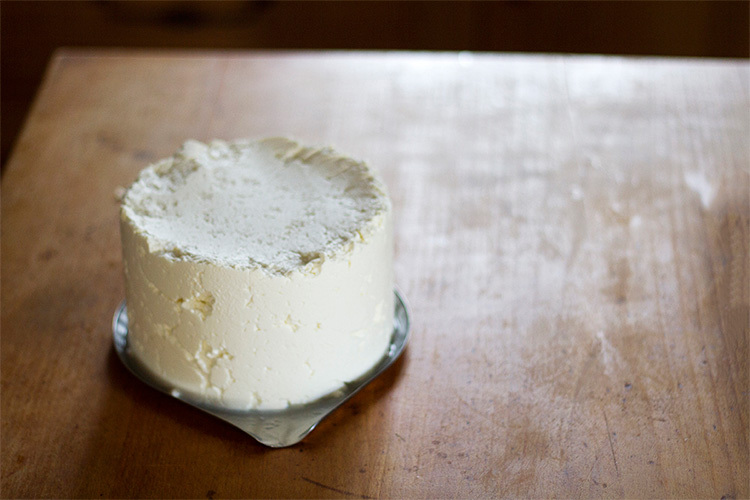 It’s the perfect food to follow a refreshing walk along the coast path on a crisp autumnal day. It’s also a great time of year for our local small-boat fisherman as the winter species start to arrive but the summer species are still present in Guernsey’s inshore waters. 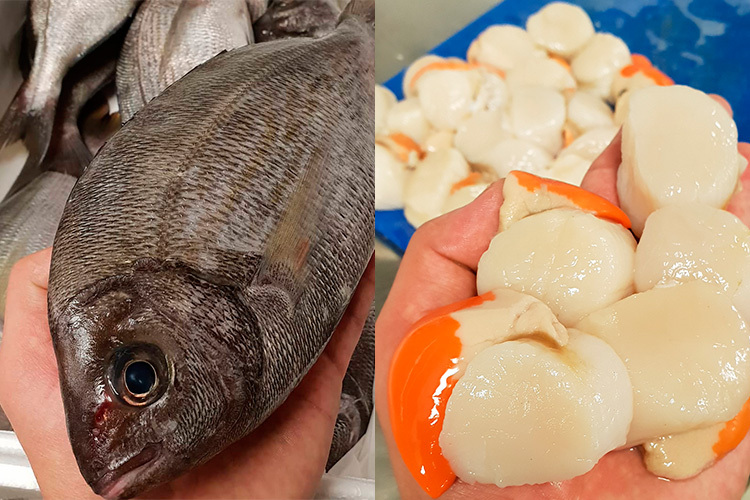 Fresh sea bream and local scallops are showcased in our version of a “Surf ‘n’ Turf” and we’ve also been serving these fantastic local scallops cooked in seaweed butter with locally foraged wild herbs and roasted almond puree. 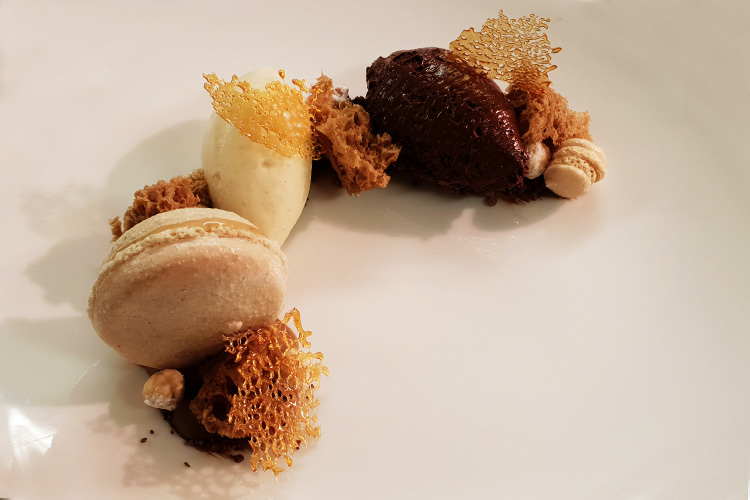 On the dessert menu, our new ginger macaroon, coffee cream and chocolate mousse hints at the comforting, rich and indulgent flavours of winter that we’ll start to see more and more of. 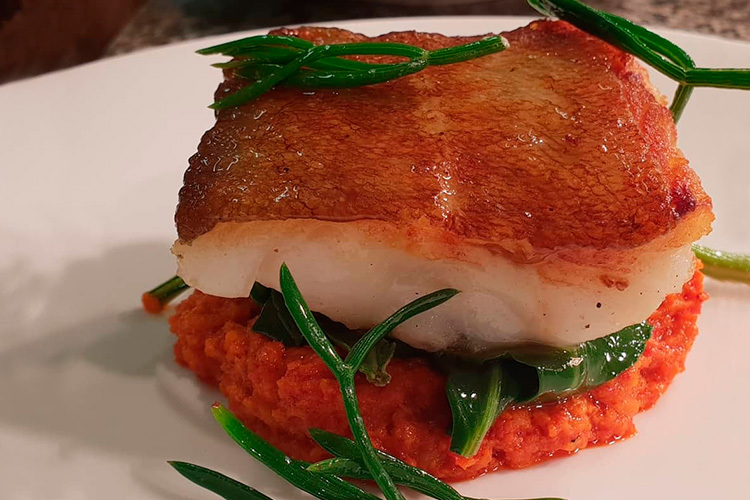 As ever, all of the dishes that make it onto our menu have been designed not just to take advantage of the best local and seasonal ingredients, but also to offer fantastic and bold flavours, beautiful colours (because we eat with our eyes as well as with our mouths) and approachable meals for all to enjoy. Stop by sometime for lunch, dinner, or a light bite, and sample one or some of our new dishes for yourself.